Is a Designer Wedding Dress Right for You? Every bride wants to look spectacular on her wedding day, but often factors like timing, budget, body shape and more come into play when finding the perfect gown to wear. In some cases, a designer wedding dress may be the ideal solution for you. 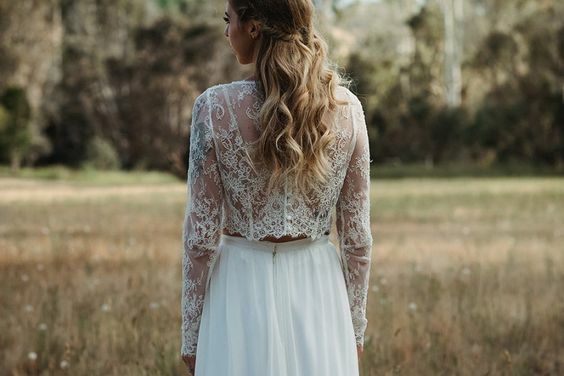 Understandably, you want to look like a vision of stunning beauty on your wedding day, but you may be having trouble finding the right dress to purchase. Off-the-shelf dresses are often difficult to shop for because there are so many different styles to choose from, and you can spend days and even weeks trying them all on. Another idea is to choose a designer wedding dress in Columbus. As a first step, it is important to choose a dress that beautifully complements your body shape and that has a style that corresponds well to the theme and tone of the wedding. You can explore the many beautiful options online as a first step, but you will want to look for a boutique that carries the lines of dresses that you are most interested in so that you can try them on for yourself. Shopping for the right dress can be a frustrating experience, but it can help if you shop online before you start trying on dresses. Dress shopping can be exhausting because of the weight of the dresses and the emotion tied to the experience, so head to a boutique that carries the lines you fall in love for the best overall experience.